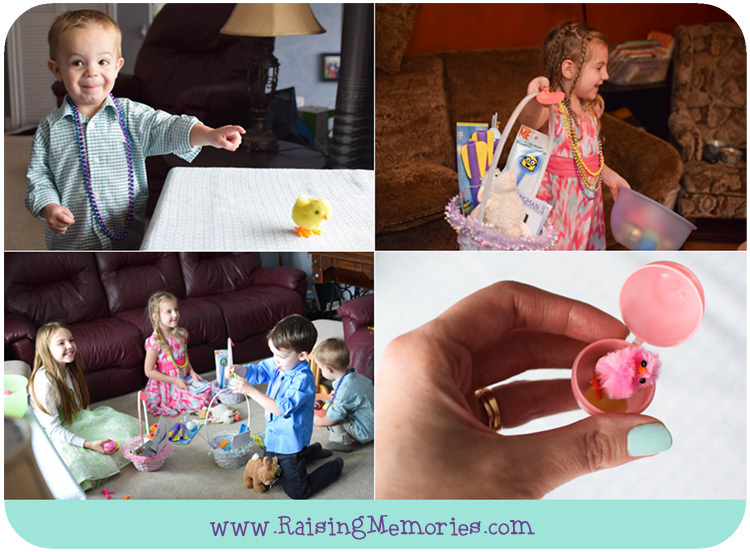 I took a bunch of photos this year, for Easter and I'm so happy to have them to look back on. 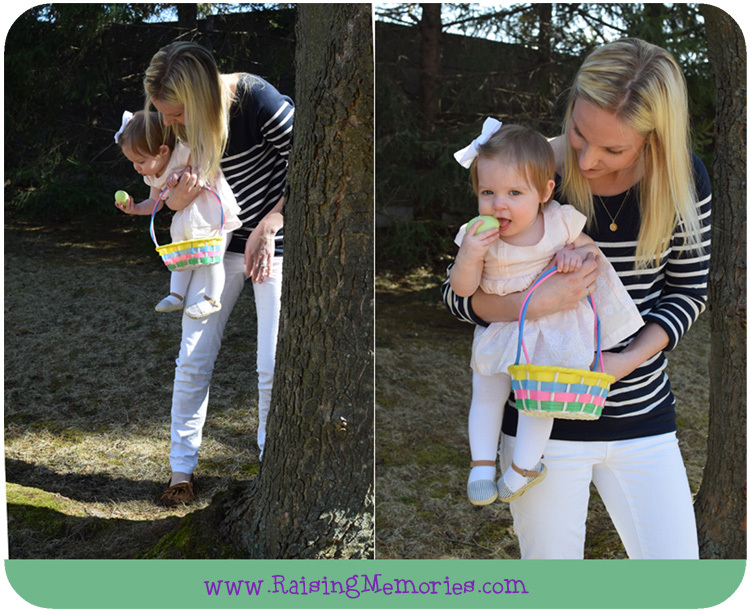 :) We're past Easter now and looking forward to Mother's Day, but I wanted to share these photos before Mother's Day comes! 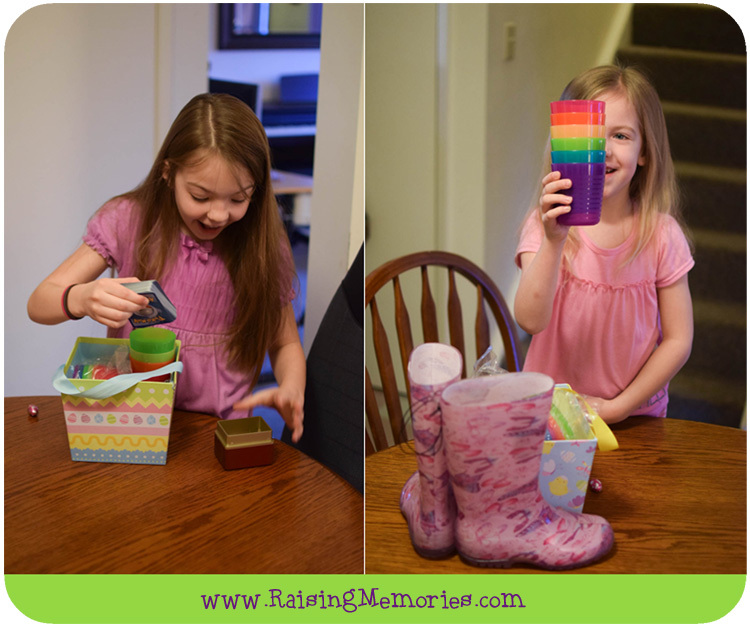 Saturday morning, the girls woke up to see the Easter baskets that Ken & I set out for them. 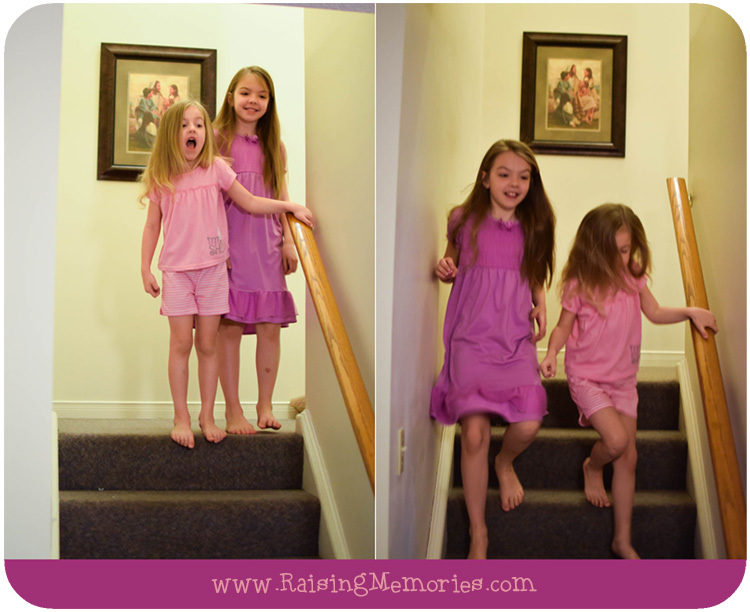 I had my Nikon D3300 ready, with my 35mm 1.8 lens on it and managed to catch their reactions (and blurry sprint down the stairs ;). The next two pics were taken with a shutter speed of 1/60th of a second which was just fine when the girls were fairly still, but when the sprint happened, I could've used a faster shutter speed (to prevent that blur). Talia was very excited about the Pokemon cards that Ken got for her and Katrina was thrilled with her new rubber boots. They each got some new dishes that Ken & I picked up while we were at IKEA (our old ones were ready to be replaced!) and then we noticed that the Easter bunny had come as well! 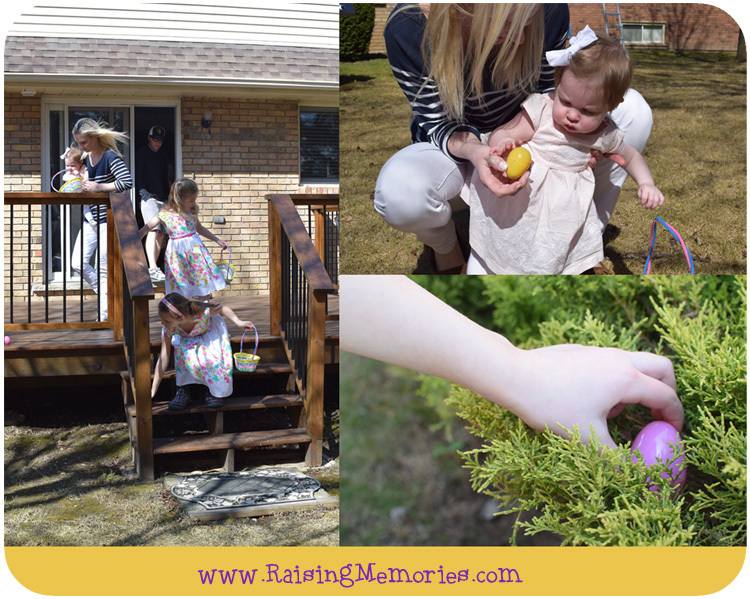 On Sunday, we went to Ken's parents' house for Easter dinner and the traditional cousin egg hunt. I grabbed a couple of photos of my mother-in-law's decorations. 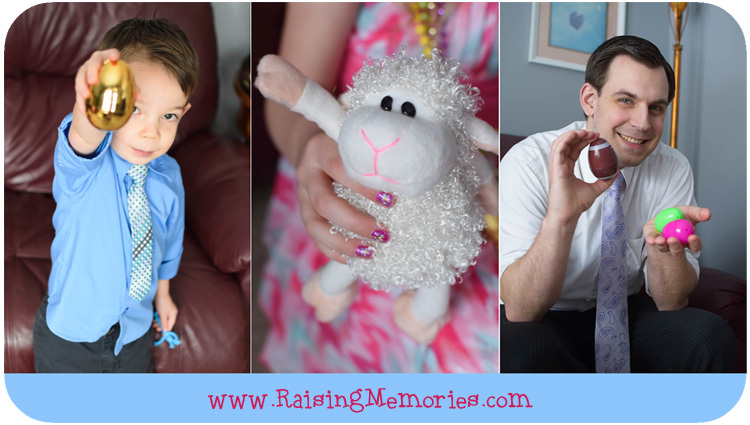 I can still remember specific decorations that my grandmothers put out for special occasions and I'm sure these photos will bring back special memories for my girls in the future. Sadly, the weather did not cooperate so we had to stay indoors for the hunt. 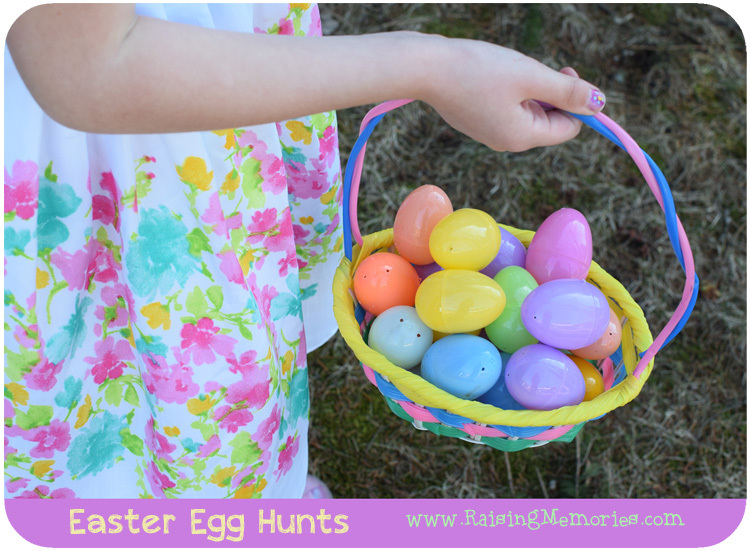 It was still just as fun although tricky for me (as far as taking photos went) because I was running back and forth between the upstairs rooms and the basement where half of the eggs and baskets were! There was a big difference in lighting between the different areas where eggs were hidden, and I did not have time to play around with my camera settings, so I just put my camera on the Auto (Flash Off) mode! 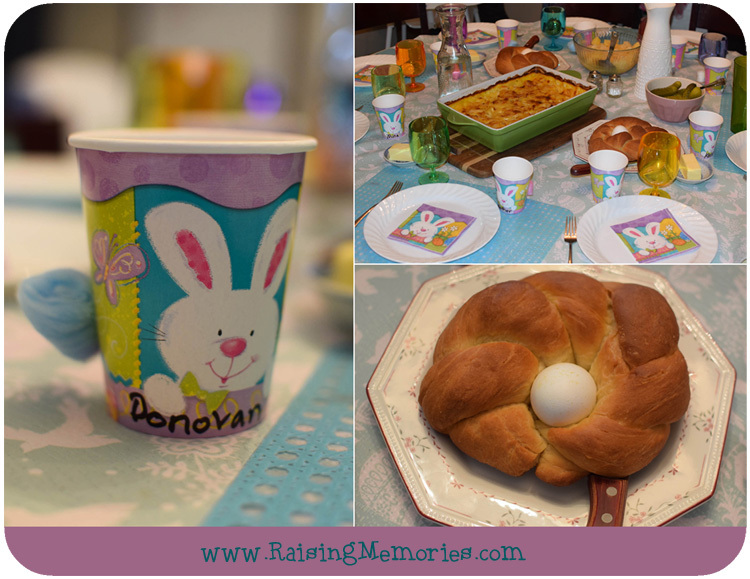 Next was dinner and my mother-in-law came up with the cute idea to put "tails" on the bunny cups! Our girls had slept over the night before and got to glue the tails on. They also helped to make that Easter bread with the egg in the middle! 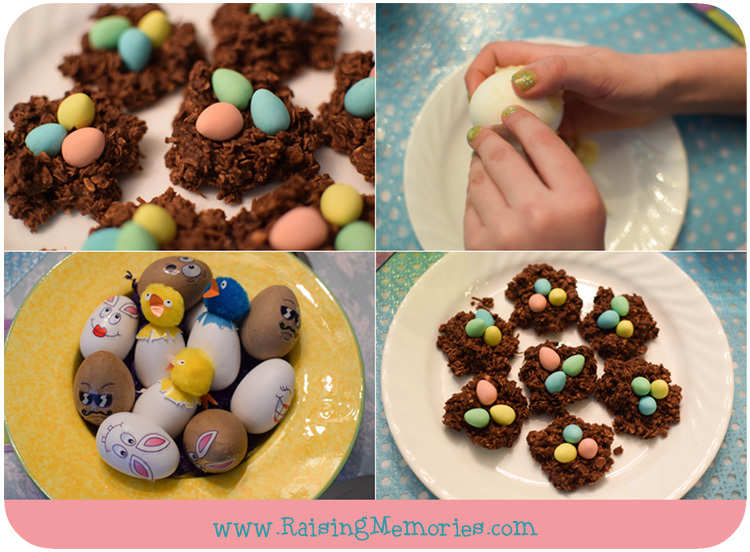 We brought the saucepan cookie nests with mini eggs inside for dessert. 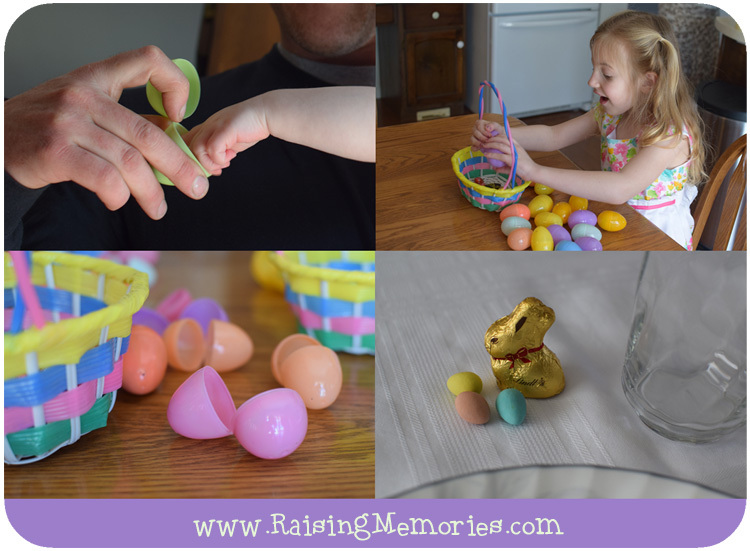 The top, right photo is of Talia unwrapping the egg from the Easter bread to see if it cooked properly (it did) and below that is a bowl full of eggs that the girls got to decorate during their sleepover. 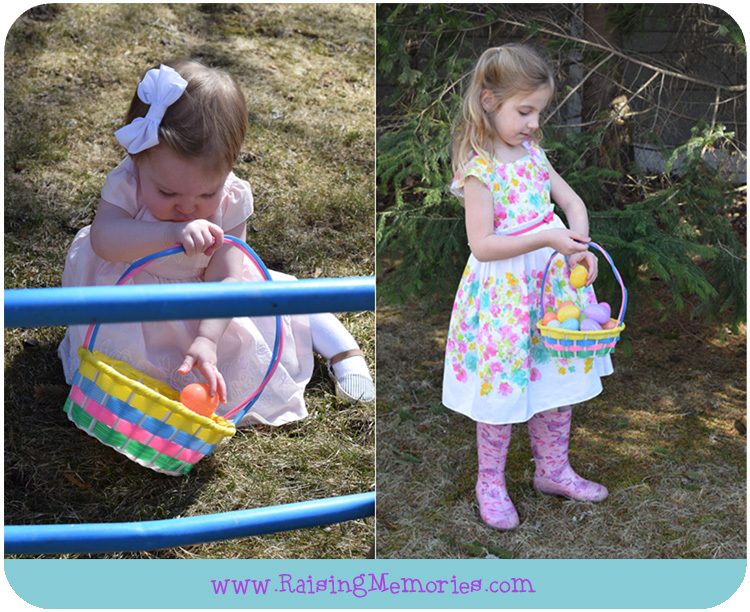 It was a lovely Easter (even though the weather seemed to be stuck on Winter!). Looking back on these photos, the only thing I wish is that I would have handed the camera to someone else for a while so that I could've been in some of them! This is the last official post I'll be sharing as part of the Nikon MOMents team, but I can assure you that over the past year, I have been loving this camera and will continue to use and love it! I am excited about the nicer weather that's coming, and the opportunity to take more photos outside soon! 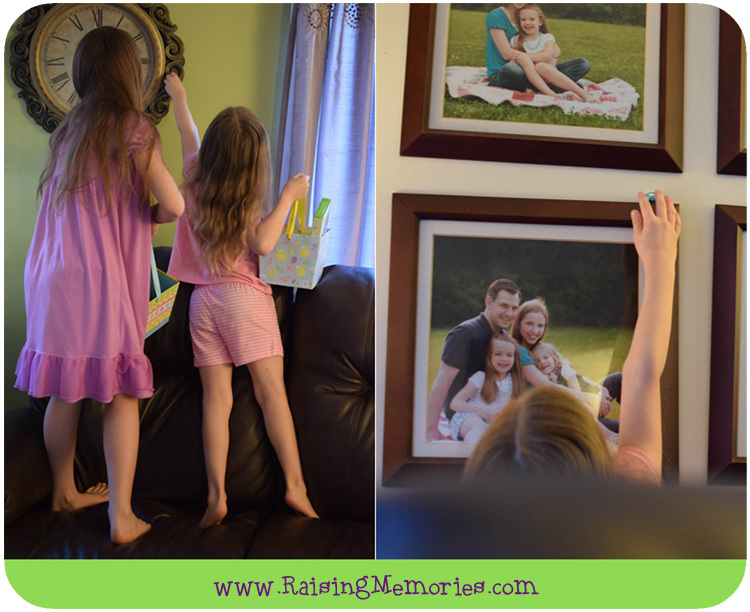 I will always love photography and I will always be grateful to have had a quality camera on hand to capture these moments and memories from my girls' childhoods! What fabulous photos! Great way to capture special moments to keep for posterity! Adorable photos!!! 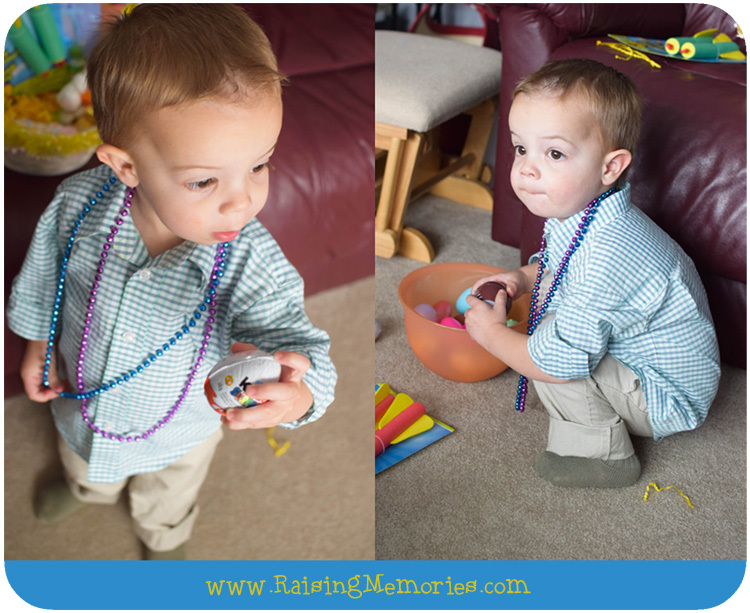 It looks like you had such a fun Easter celebration. What a lovely weekend. 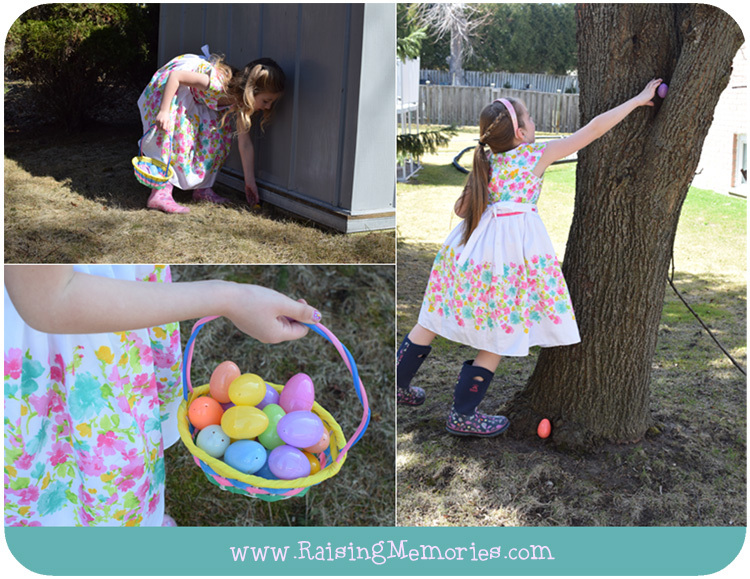 The pictures of the girls hunting for eggs are so precious! You've captured some great memories! 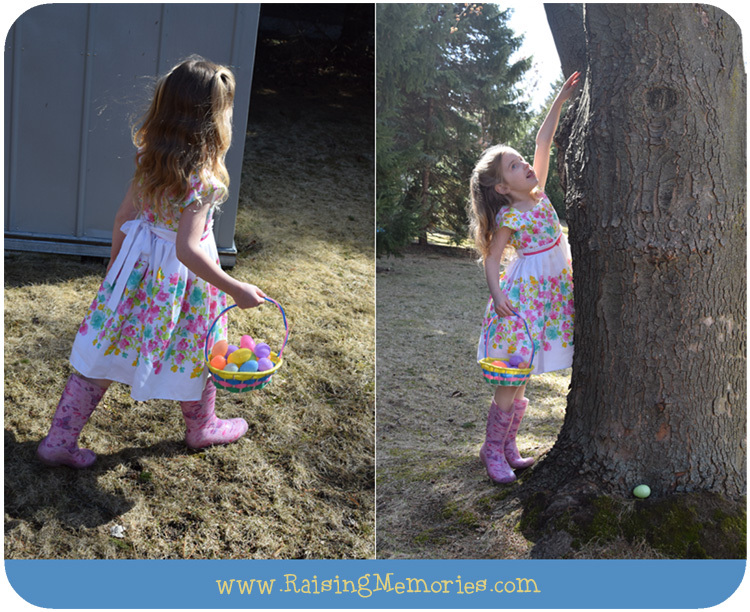 I love having Easter egg hunts, they are always so fun and the kids enjoy them a lot! Great shots. I totally need an upgrade.....ya got me wanting a Nikon now. 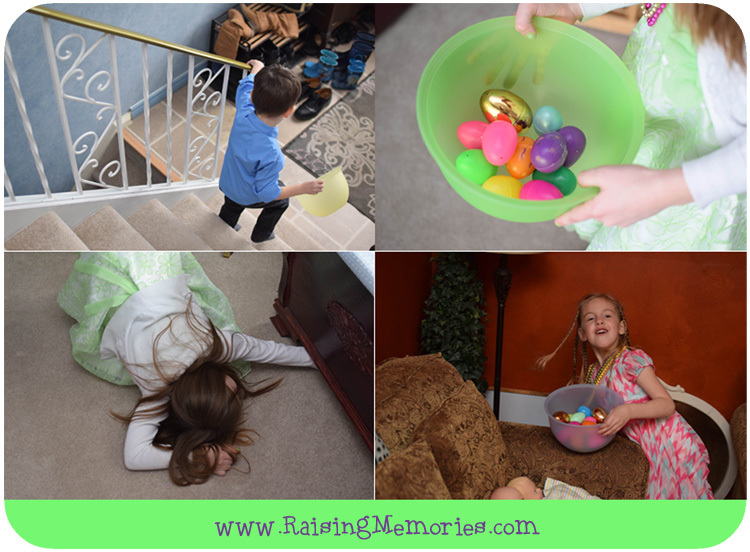 looks like Easter is a blast at your house! Fun post, looks like a lot of fun! 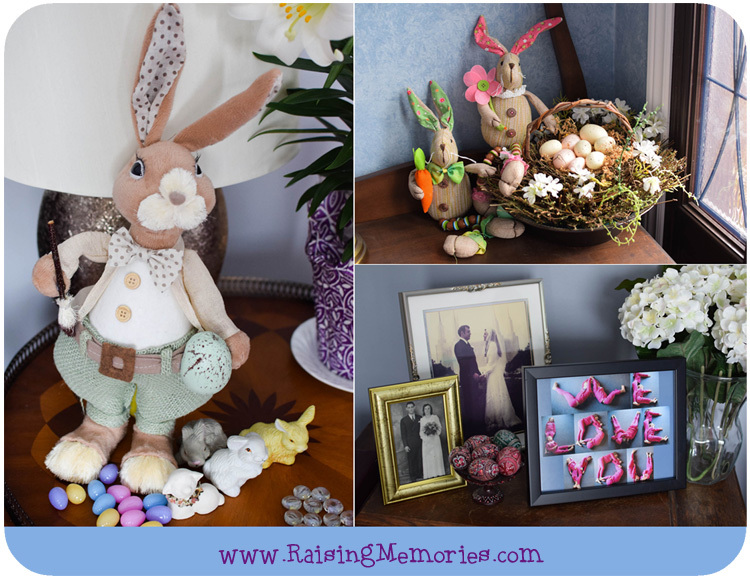 I cant believe a year as passed so quickly ad here we are with Easter sunday just days away.I love your photos just beautiful !